An increasing number of medical cannabis dispensaries are losing their coveted bank accounts simply because they’re depositing too much cash, too frequently. The development presents yet another major challenge to doing business in an industry beset by numerous challenges, creating a situation in which the bigger the dispensary is, the more scrutiny it faces – making it a victim of its own success. Unfortunately, there’s not much dispensaries can do about it, given that major credit card companies have blocked out the industry. While some dispensaries still take plastic by using alternative – and legally questionable – services or obscuring the true nature of the business, most have been forced to adopt an all-cash model. Dispensaries must therefore handle large amounts of cash each day and then bring it to the bank (if they’re lucky enough to have an account in the first place), sometimes every week or even every day. Many centers are bringing in thousands – or even tens of thousands – of dollars at a time, often in relatively small bills. The dwindling number of banks that service the industry aren’t exactly thrilled with having to count, sort and deposit such large sums on a regular basis – or deal with the accompanying security and logistical risks. Additionally, banks have to report particularly large cash deposits (over $10,000) to the feds – which eats up time and resources when it happens on a regular basis. As a result, some banks eventually determine that it isn’t worth the hassle or risk. In other cases, the cash transactions raise red flags, and banks discover that they were misled into thinking the account was for another type of a business (a wellness clinic, a health products provider, even a flower shop). Sullivan said banks will turn their heads for a while, but eventually the large cash deposits become an issue and they shut down accounts with little warning. Dispensaries that lose their bank accounts are forced to keep piles and piles of cash on hand, creating huge security problems and operational issues. The problem is particularly severe in Washington State, California and – more recently – Colorado, although dispensaries in other states have been affected as well. Kris Krane, managing partner of the Phoenix consultancy 4Front Advisors, said he hasn’t heard of it happening in Arizona yet, likely because the industry is so new there (dispensaries just started opening up over the last six months). Rather, the big issue for dispensaries in Arizona is getting a bank account in the first place. Still, Krane said he has heard anecdotal evidence of banks closing dispensary accounts because of large cash deposits in other areas and says it’s only a matter of time before the problem crops up in new MMJ states. Or, the dispensaries can provide the customers with its bank account information and instruction and let the customers make the deposit (or payment) directly to the account either through online banking or walk in teller window and bring the payment receipt to pick up their medicines. Many embassies and government agencies conduct business this way now a days. As a consultant working in the industry, I wrote about this same topic in November 2012. Large cash deposits tagged by banking authorities helped catch money laundering criminals back in the day linked to drug trafficing. I had this same conversation with an OCC banking executive. Banks are happy to take cash from clients. However, most receive funding from the government and must abide by the current laws. The reform of tax law 280E and the legalization of cannabis should change the banking environment within time. Dispensary owners should adopt proper GAAP accounting policy and procedures now to prepare themselves for a banking relationship and the extra independent auditing requirements that will be coming. 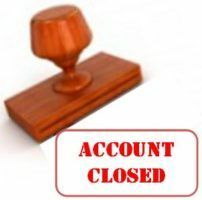 Owners who are “Do It Yourself” accountants will find that they are giving authorities a reason to shut them down without qualified CPA’s doing the books. I haven’t met a dispensary owner yet that is recording and reporting ALL of their cash. Hold on if you disagree – I said, I personally haven’t met one. Even in a communist country Vietnam,( I’m sure the great big one north does the same ), entire payrolls for factories of hundreds of workers are paid in cash in many cases. There’s no checking accts, no monitoring like this. All this monitoring, keeping us all safe while the useful idiot supports having troops in over 100 countries and wonders why the civil liberties continue to erode here. Are smaller financial institutions, like local credit unions, more receptive to doing business. We should all be using them anyway and not supporting the criminal to big to fail syndicates.